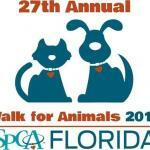 The chip timed SCADaddle Sunset Run/Walk will take place at Payne Park in Sarasota, a vacation destination! The two lap course runs through and around the park on a varied terrain of crushed cinder, concrete sidewalk and grass. All runners will be timed. Awards will be given to overall winner male and female. Medals/recognition will be given to 2nd and 3rd place male/female overall and to the top three males/females for age groups: 9 and under, 10-14, 15-19, 20-24, 25-29, 30-34, 35-39, 40-44, 45-49, 50-54, 55-59, 60-64, 65-69, 70-74, 75-79 and 80 and older. Award ceremony will take place at approximately 7:15 pm. Other activities include a raffle, Kids Fun Run, complimentary dinner of pasta and salad, a special dessert food truck and craft beer/wine slushes for purchase. Entertainment will round out a fun Friday night for the entire family! 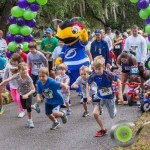 For additional information about the 5K and other activities, please follow us at https://www.facebook.com/events/242461209721192/ or email 5kflorida@scadresearch.org. Please bring waivers to early packet pick up or race day. Race Day Registration: 5:00 pm – 6:15 pm. Cannot guarantee a race shirt for race day registration. Please note, online registration closes at midnight on Tuesday, March 24. Registration will be taken at early packet pick-up and on race day.